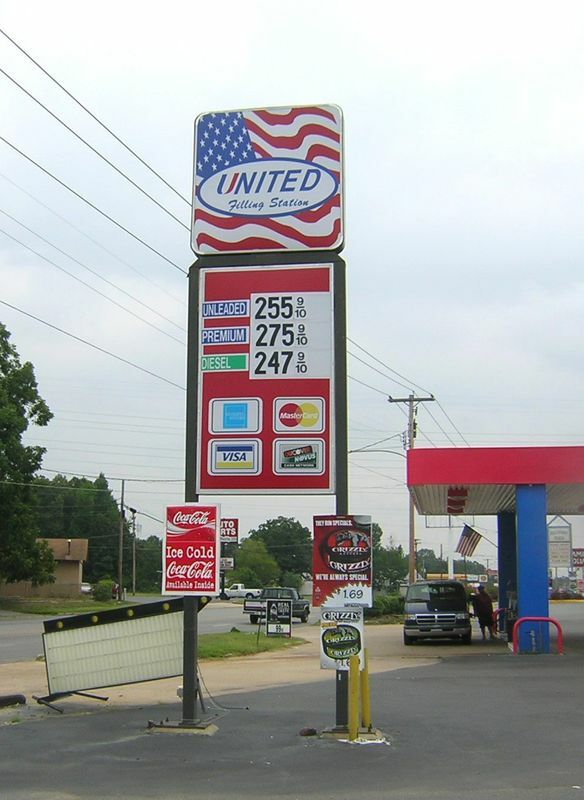 United sign in Pine Bluff, Arkansas. Taken August 28, 2005 by David Backlin. The station itself, at the above Pine Bluff, AR site.